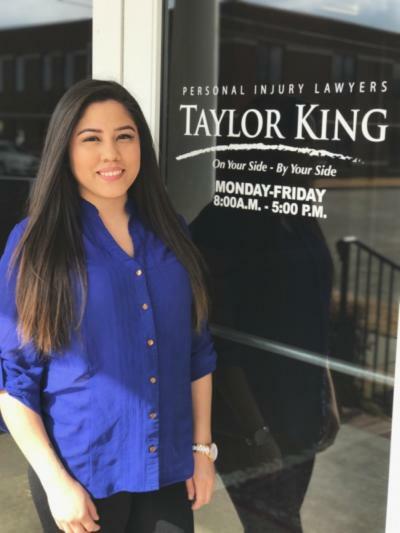 Alicia started in the intake department with Taylor King Law over a year and a half ago, and is now a case manager in the Arkadelphia office. She’s happiest when she’s with her kids. Outside of work, Alicia enjoys spending time with them, and their new dog, Kobe (not named after Kobe Bryant). When asked her favorite place she’s traveled to, Alicia said when she was young she went to Mexico to visit her grandma. “My parents told me that I was going on vacation but I had to wash my clothes on a washboard!” Alicia hopes to someday visit New York City, and if she were to win the lottery, she’d travel with friends and family to Disney World.